As you’ve probably guessed by now, I gain a lot of my inspiration from the natural world around me. I’ve always dreamed of having a wonderful garden…but truth be told, my backyard is in desperate need of some love. The previous owners were amazing gardeners and I just can’t seem to keep up with what they’d created. When I figure out how to duplicate myself so that I can do all the things all the time, I’ll let you know. In the meantime, I’ll enjoy the beautiful flowers cared for and planted by friends! 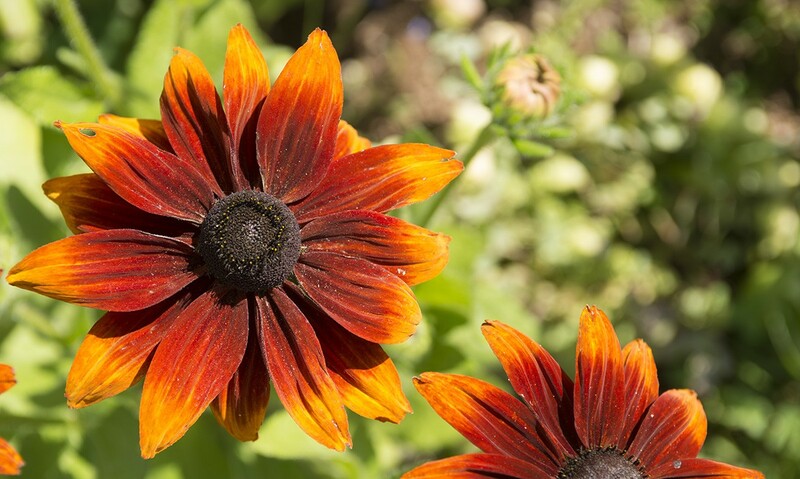 Like this variation of Black Eyed Susans that I absolutely love. 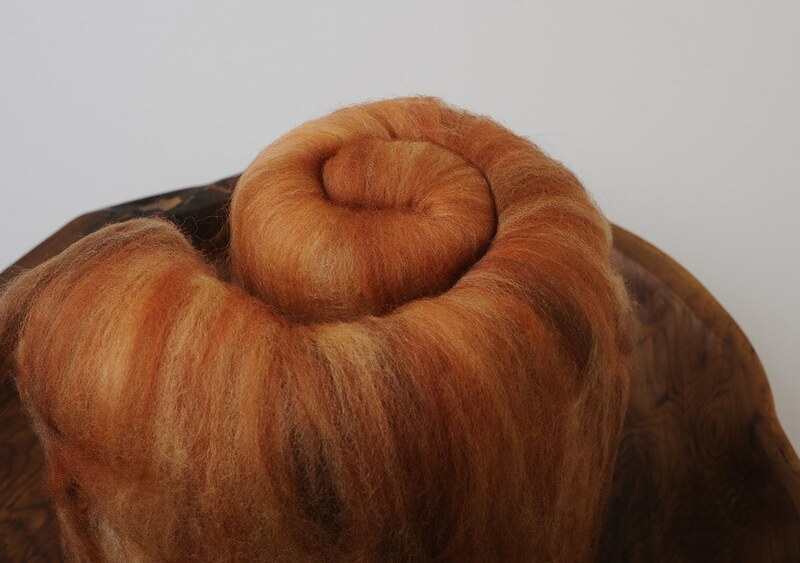 I decided that I would create a heathered batt this month and I took 4 different colours to make the orange base of the batt and then streaked it with some brown to emulate the center of the flower. I kinda love how it turned out. This month basic club was Finn and luxury club was Finn and Silk blended together. 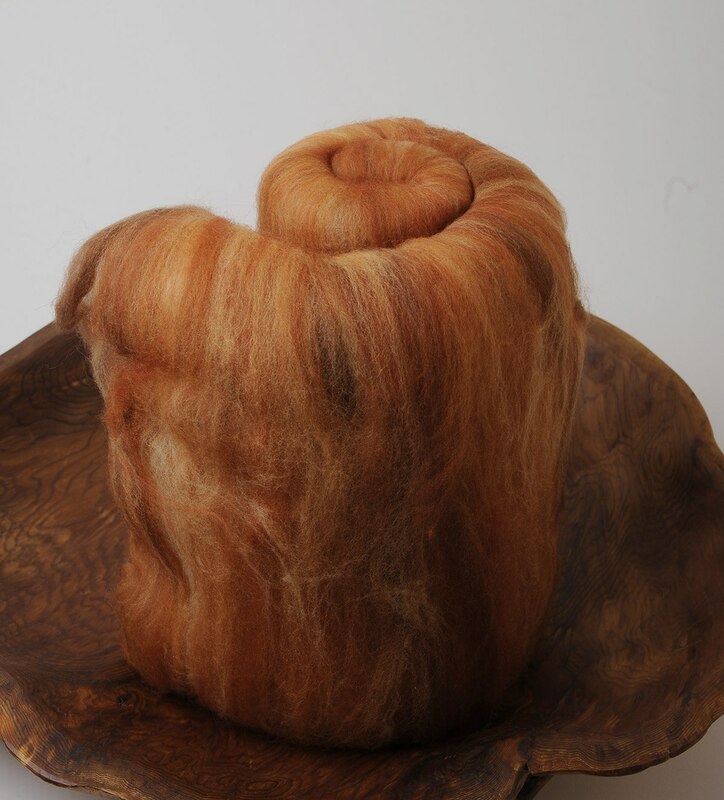 I decided that I would spin a traditional four ply from my batt this month. So I split my batt into four section and spun from one side of it. I wasn’t concerned about how the colours would come together, as they were already fairly homogeneous. I’ve recently been taking some lessons from my friend Kim from Claddagh Fibre Arts. 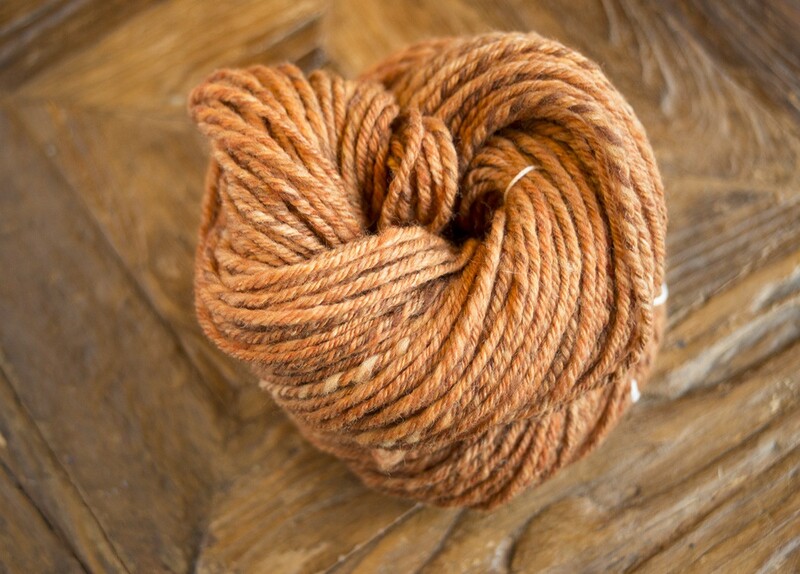 One of the tips she has is to spin your worsted spun yarns from the end that you started spinning at. 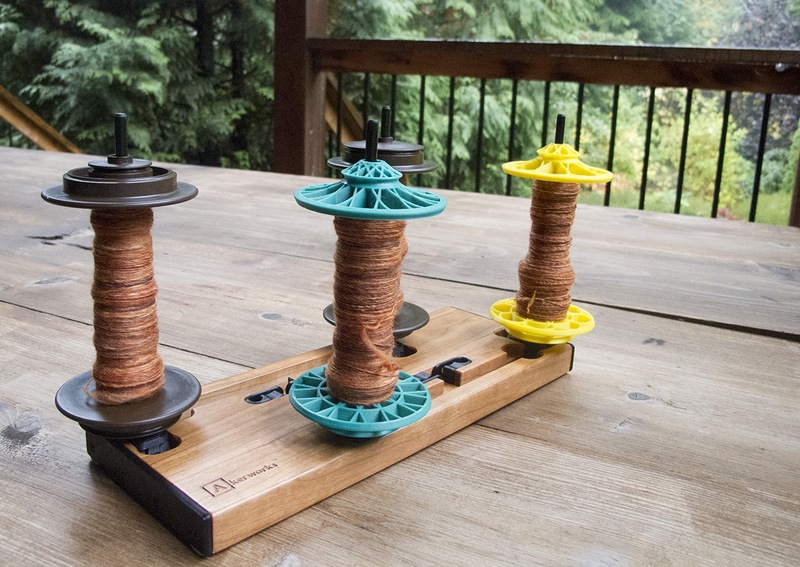 This requires moving your yarns from your wheel bobbins to weaving bobbins and plying from those. I’ve slowly been transitioning to this method of spinning and so far I do see a big difference in the smoothness of my finished yarns. 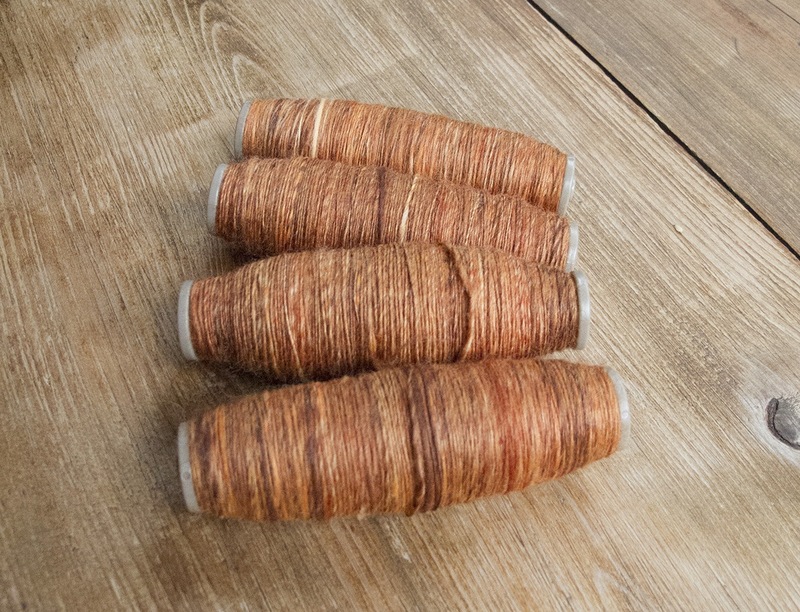 I didn’t have a scale handy when I separated my batt… so I ended up with some very uneven bobbins… which meant I had plenty left for a lovely two ply after I’d finished my 4 ply. 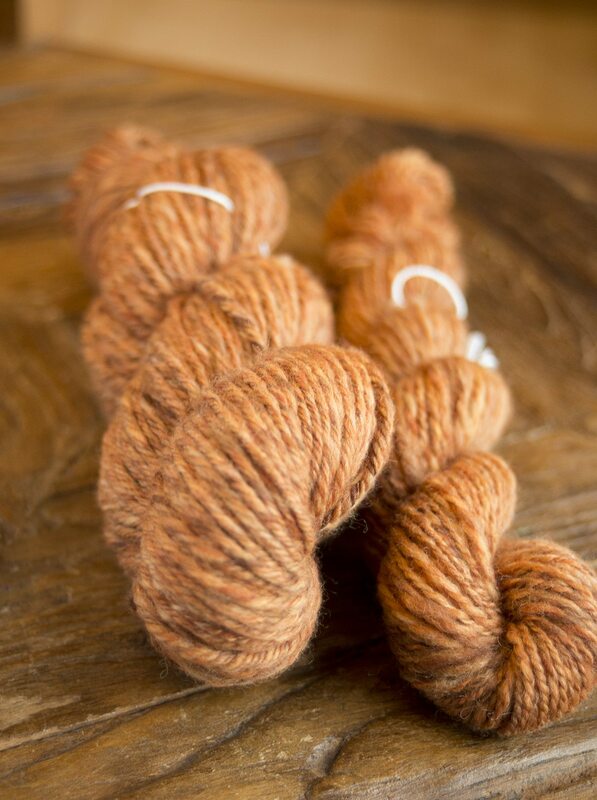 I love the roundness of the traditional 4 ply and I’m not going to lie… I’m in LOVE with this finished yarn. It’s plump, lofty and so pretty. Now the question is what to knit… I have a nephew who loves orange and this would make a pretty awesome christmas toque for him… We’ll see! I would love to see what you do with club! Please feel free to share it over on this thread in the Wool N Spinning Ravelry Group or tag me on Instagram with the hashtags #craftyjaksboutique or #craftyjaksclub If you haven’t signed up for club and you’d like to, please follow this link to my Etsy shop. Cut off to receive December club is this coming Tuesday November 20th. Hi Barb! I just launched it and haven’t announced it yet 🙂 Thank you for the kind words, I’m excited with how everything is going! !